for the purpose of improving the quality of the steel. 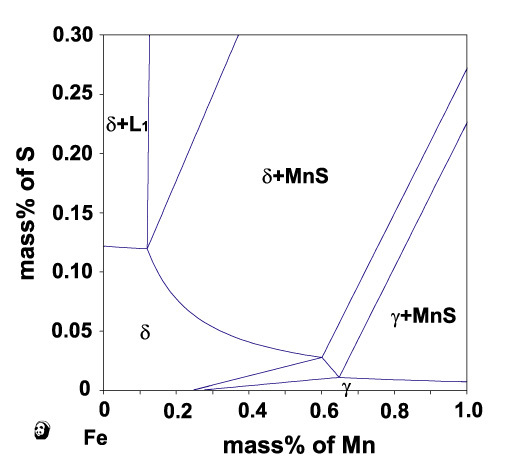 [ MS_B81 ] Fe-rich P phase, NiAs/B8-type, (Cr,Fe,Mn,Ni,Ti)S , pyrrhotite. Copyright(C) 2007 Materials Design Technology Co., Ltd. All Rights Reserved.